Really awesome build. Something I've wanted to do for long time just too lazy to do it. Same for me... 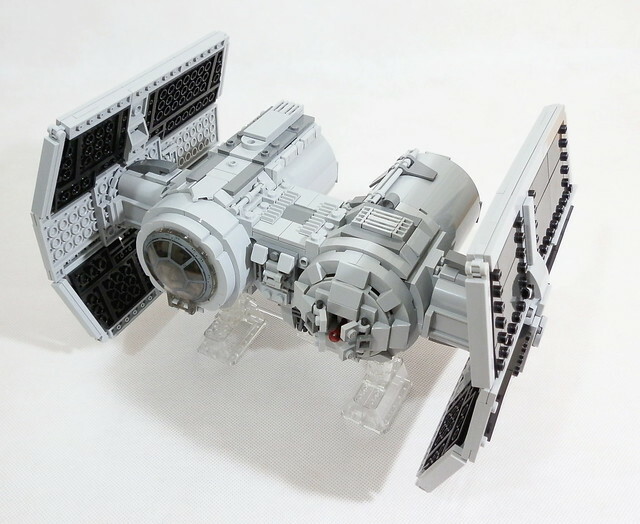 I've given up hope on them ever giving us a remade TIE Bomber, so I'll have to make my own. Now, I may just have to steal your design. lol Thanks guys! I'm always glad to see and hear that I've inspired someone. But yes I totally agree so many sets made to the point of loosing peoples attention. Like Lego's millions of A-wing's B-wings, and X-wing's done to death not to mention so many of the same plain Tie Fighter! One can only hope for Lego to think outside the box for once and build something we haven't seen yet or maybe just possibly if they'll go back to building Expanded Universe sets. I love this build; this is what FBTB is all about. Great MOC! I am in the process of moving and haven't touched my Lego in 6 months. I am going into withdrawal. This MOC is a shot of inspiration when I get at my stuff.